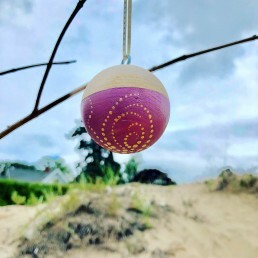 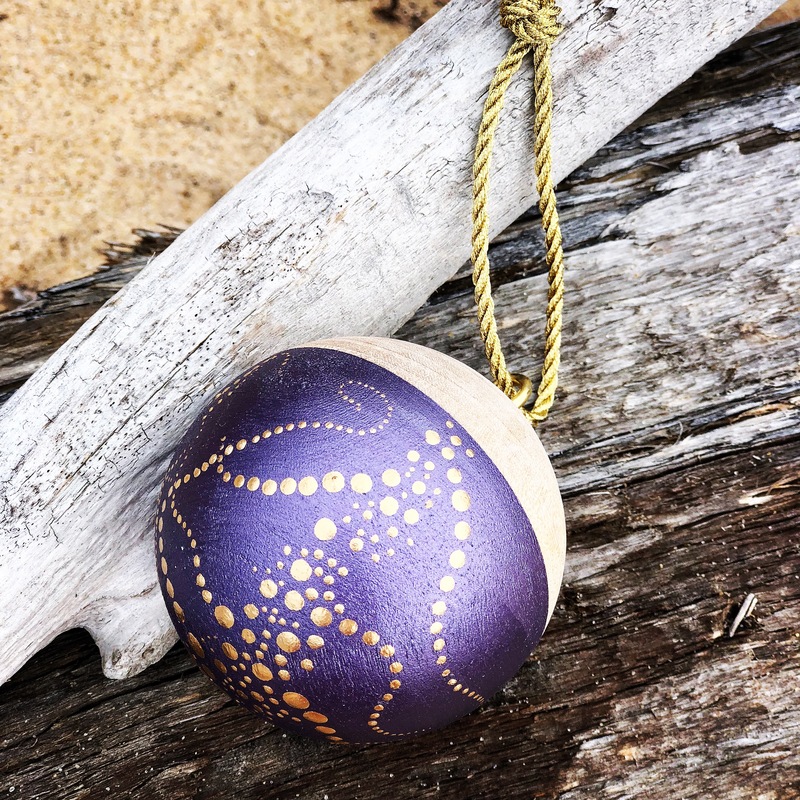 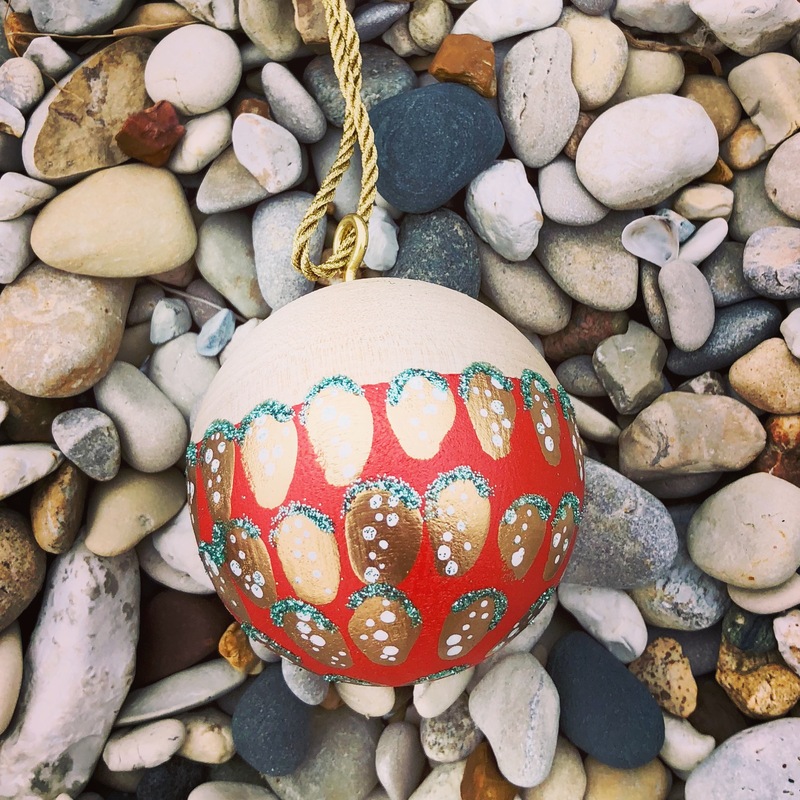 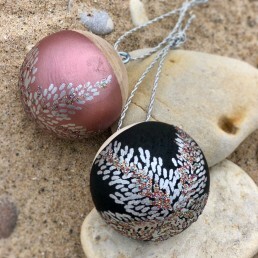 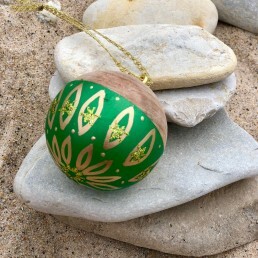 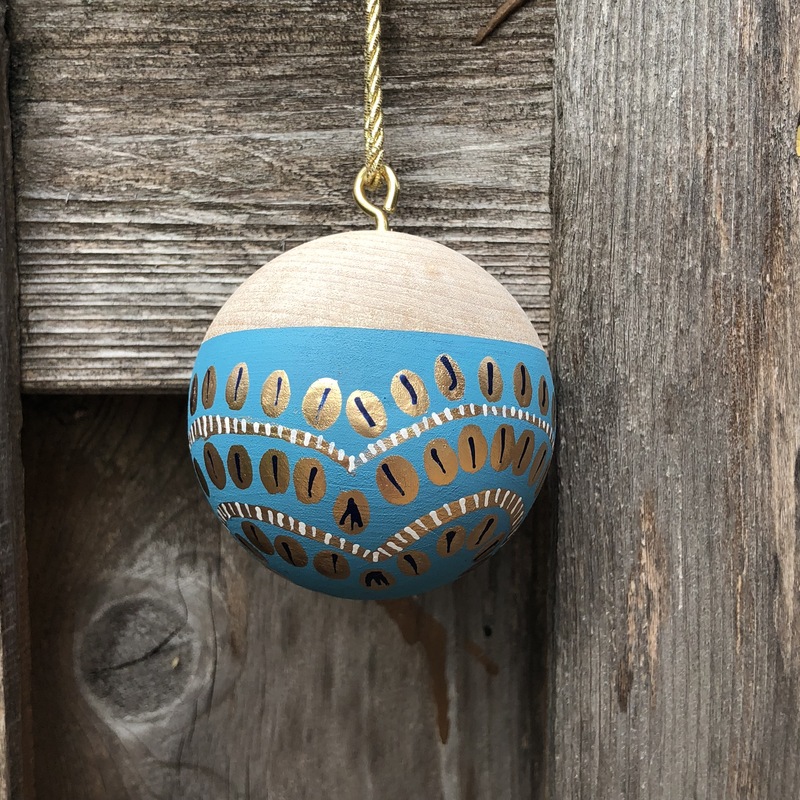 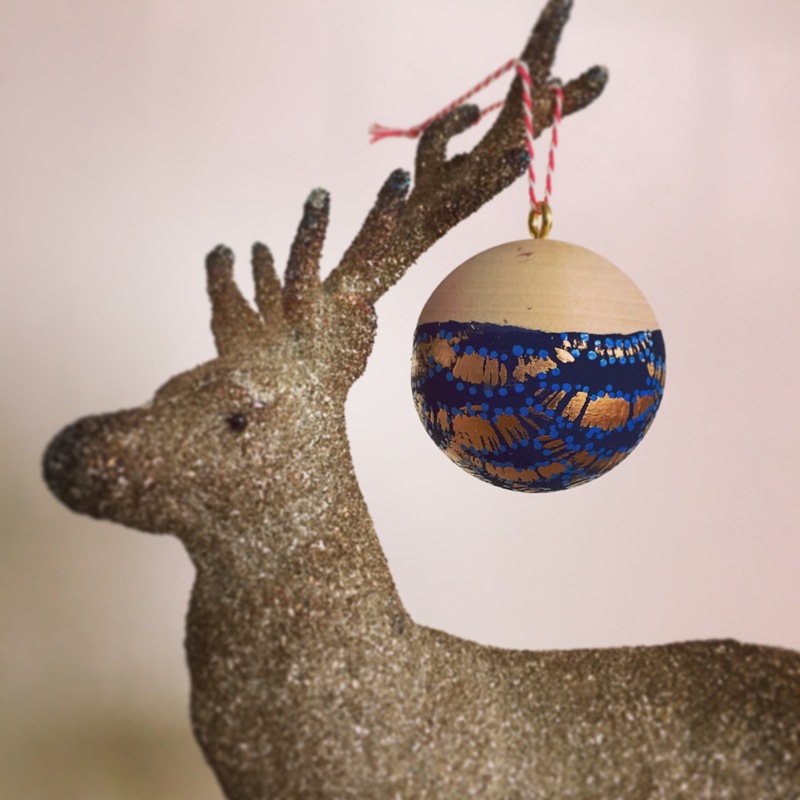 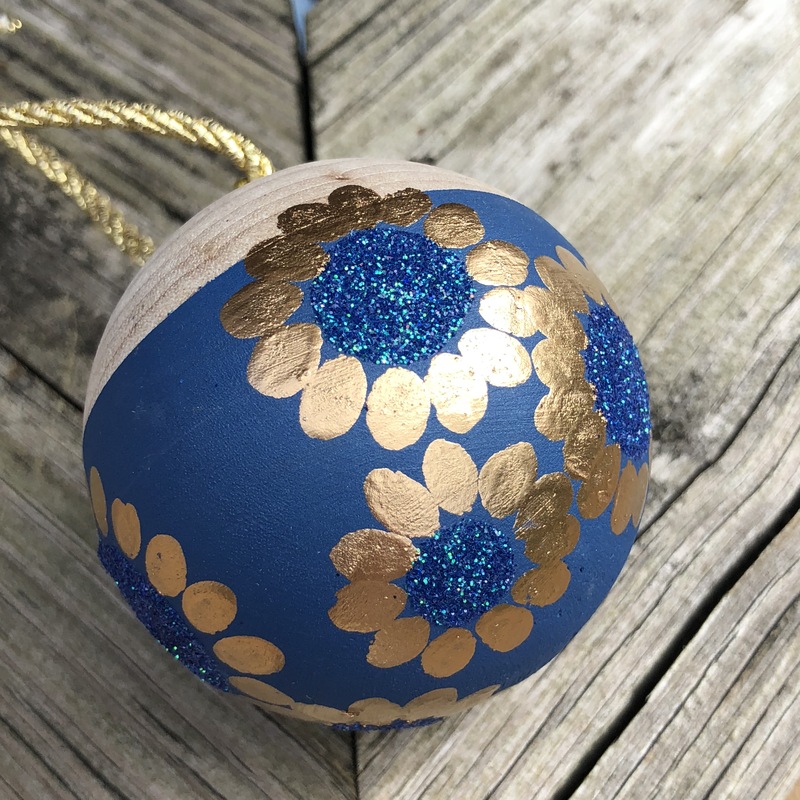 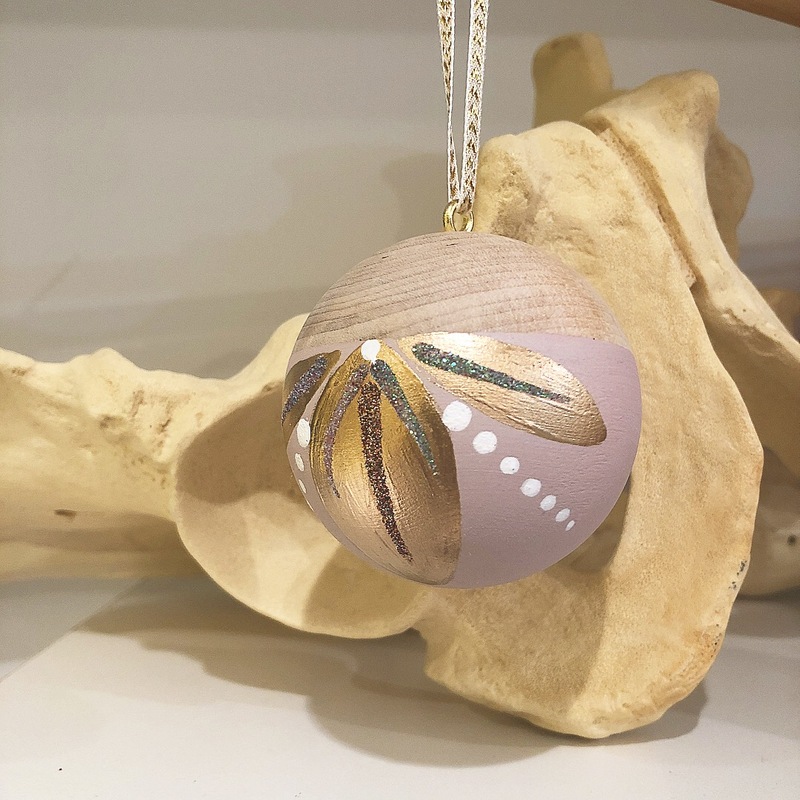 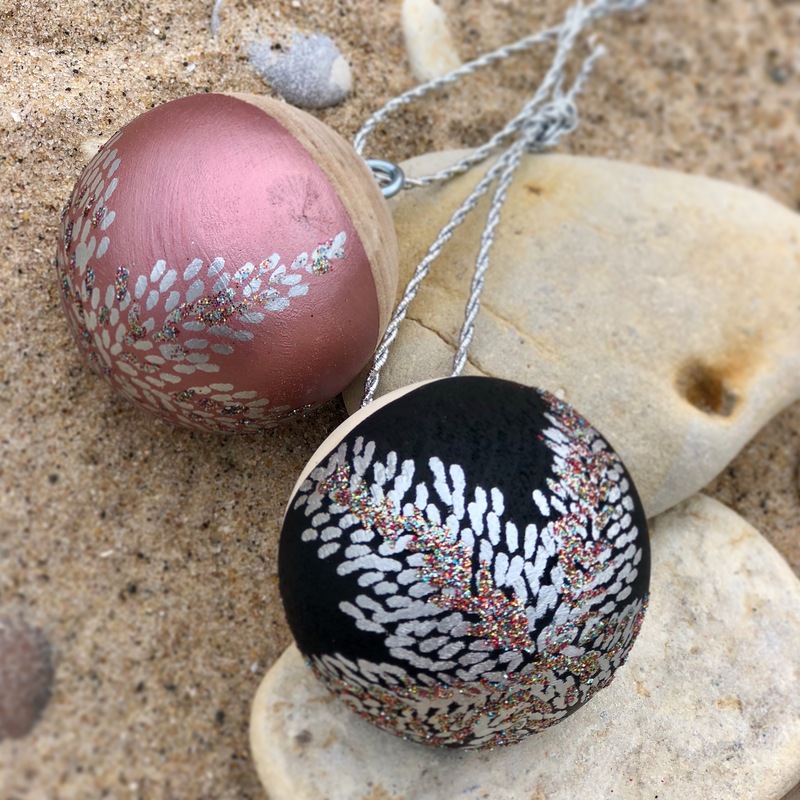 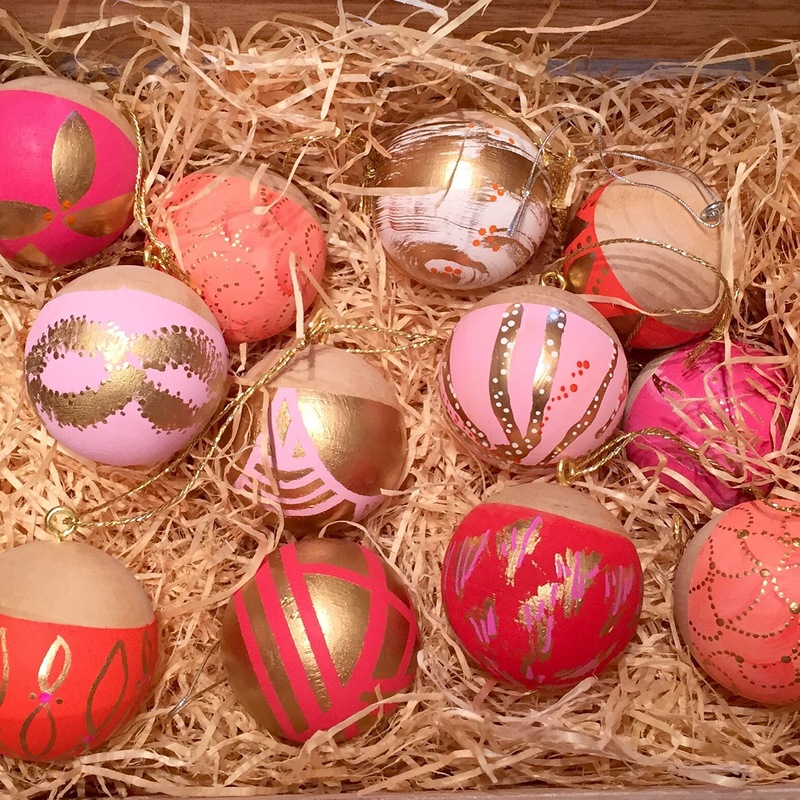 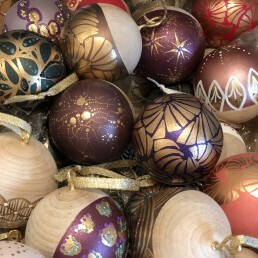 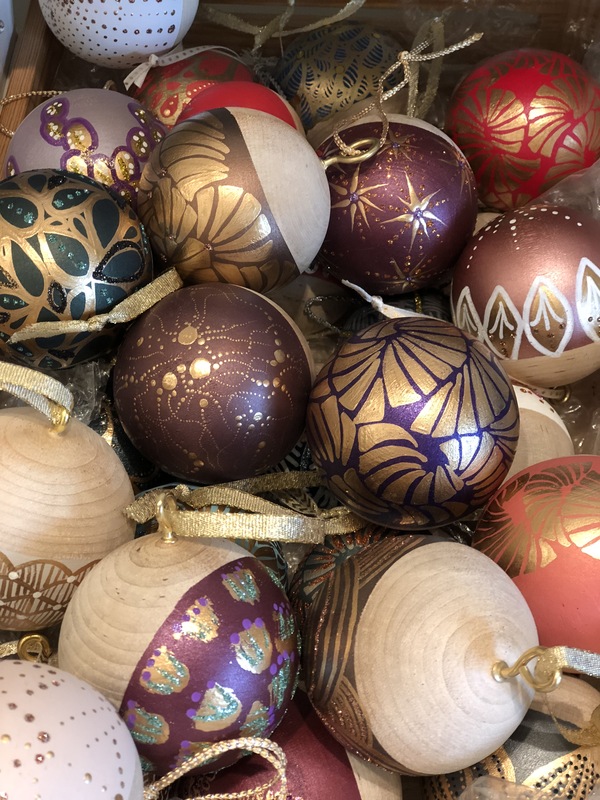 Using solid maple spheres from Maine, I paint each ornament with a base color and then, in a multi-step process, add additional details with complimentary colors and liquid metallic leaf. My ornaments combine the simple, organic feel of exposed wood with the artistic flair and buoyancy of the colors and luster of the paint I apply. 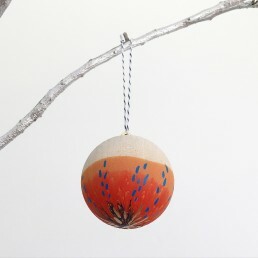 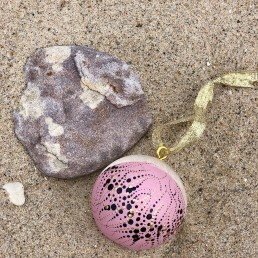 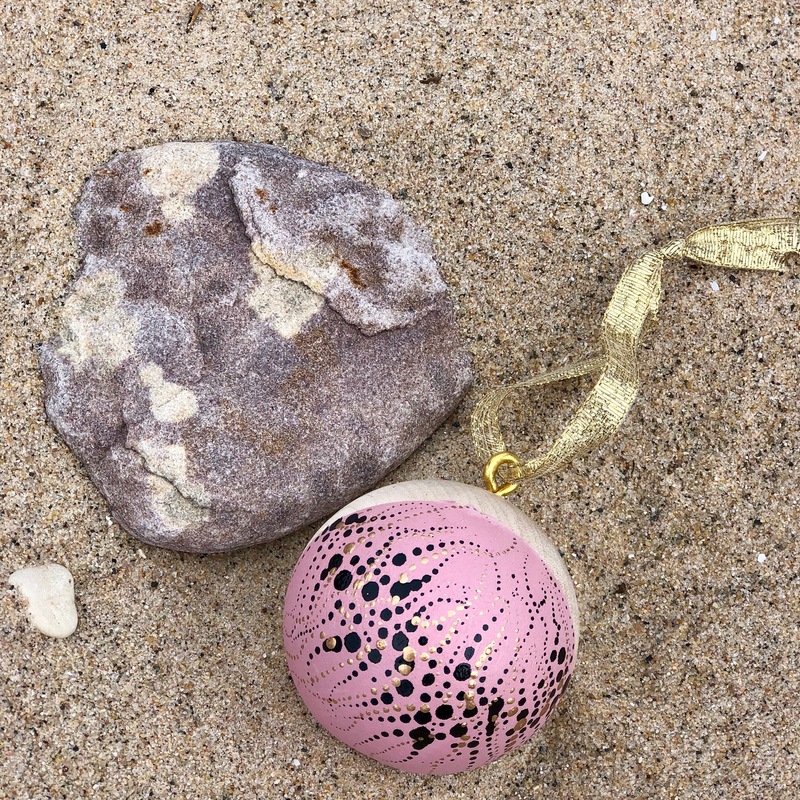 As each one is hand-painted, no two ornaments are alike. 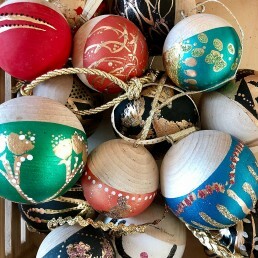 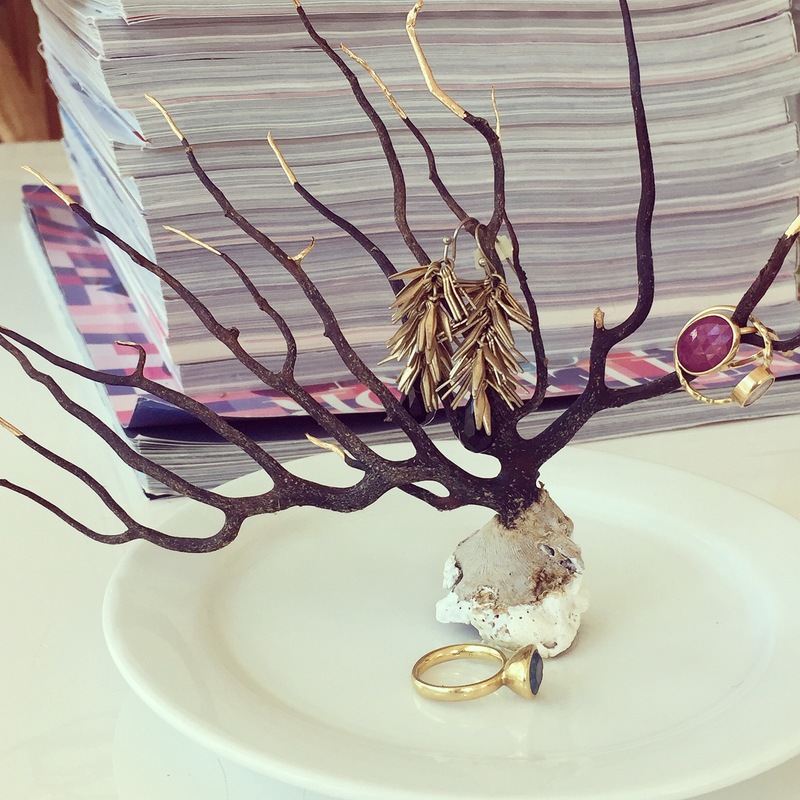 I create them to make an impact both individually or en masse—they look as spectacular hanging from a Frasier Fir branch as they do clustered in a bowl as a whimsical centerpiece. 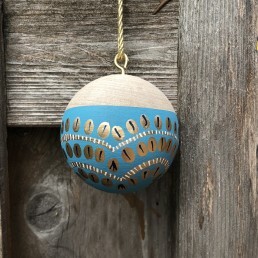 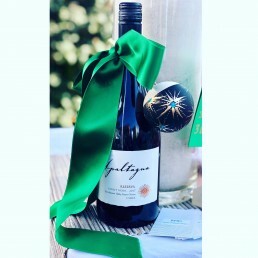 And seriously, want to make a statement at the next holiday or housewarming party? 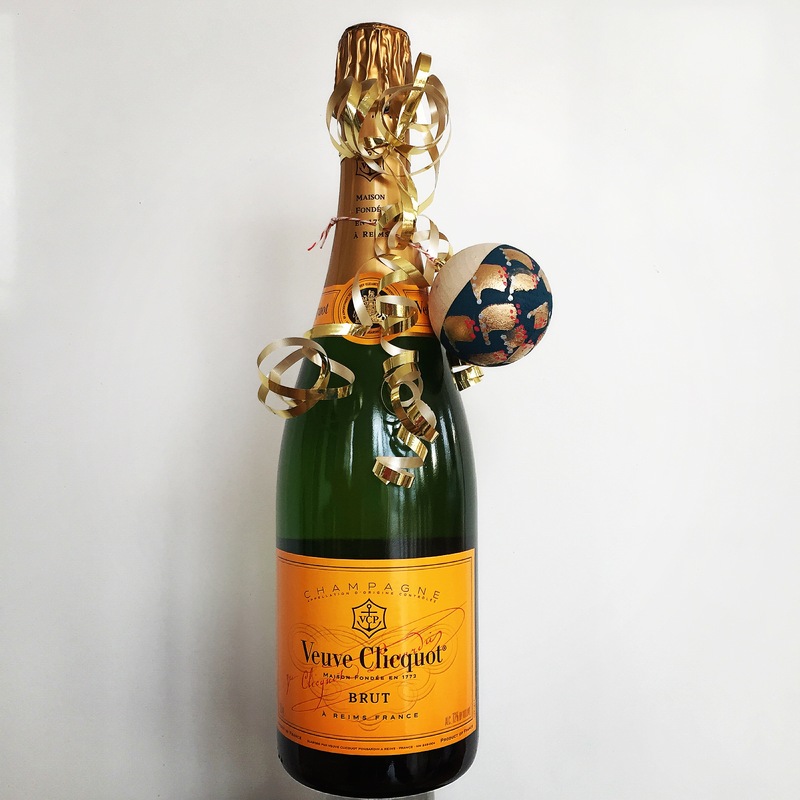 Bring a bottle of wine (or champagne!) with an ornament looped over the neck. 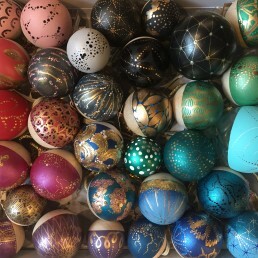 Voilá. Best gift ever.